Stratodesk customers, however, can rest assured knowing that they are immune to this exploit. 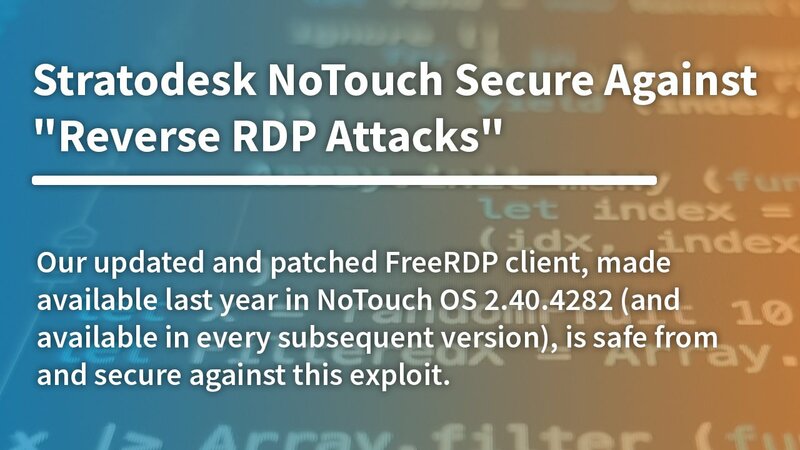 Our updated and patched FreeRDP client, made available last year in NoTouch OS 2.40.4282 (and available in every subsequent version), is safe from and secure against vulnerabilities that would allow a potential Reverse RDP Attack. You can see our software release notes here. The official report from Check Point Research can be viewed here.